Sadly, within the first four months of 2018 there have been at least three fatalities of divers/snorkellers caused by collision injuries from boat propellers; one each in Thailand, the Philippines and Indonesia. It is likely there were additional incidents, as many injuries often go unreported. These figures are of great concern to DAN and should be of concern to all divers. We felt it was timely to revitalise a safety campaign that focuses on creating awareness of propeller safety. Propeller injuries are unfortunately far too common in diving accident reports despite often being preventable. Many propeller incidents occur in remote locations where the medical facilities available to treat injuries sustained may be insufficient, and the licencing and regulating of boat drivers may be poorly enforced or does not exist. This is not to say that countries like Australia and New Zealand are immune to such incidents, reporting simply highlights a greater occurrence in other countries of the Asia-Pacific. What are the main causes of propeller incidents? Boat operators unaware of divers in the area coupled with insufficient lookout for the conditions. Boat operators attempting to move the boat while divers were nearby in the water. Divers/snorkellers surfacing in the path of boat traffic, failing to use a flag or buoy, or undertaking diving activities in an area frequented by boats. Divers being pushed into boat propellers by waves or currents. The use of clearly visible dive flags. The use of diver’s floatlines and/or SMBs. Being vigilant in avoiding areas with known boat traffic. Avoiding surfacing or swimming at the stern of the boat without the crew’s knowledge. Ensuring divers follow crew instructions when attempting to board the vessel. Recognising the different types of dive flags (and light signals at night), which indicate divers are in the vicinity. Being aware of the laws and regulations regarding exclusion zones and speed limits that surround ‘Diver Below’ warnings, if any. In the absence of regulations, care and slow speeds are still required. Ensuring they do not have the propellers engaged while performing pick-ups; and receiving confirmation that all divers are clear of the propellers prior to re-engaging. If divers and boat operators work together, propeller injuries and deaths can be reduced, even eliminated. DAN will be running a safety and campaign until the end of 2018, predominantly on our socials (Facebook: DAN Asia Pacific, Blog: daninsider.org) If you miss anything you can find out more at danap.org/DAN_diving_safety/campaigns.php. 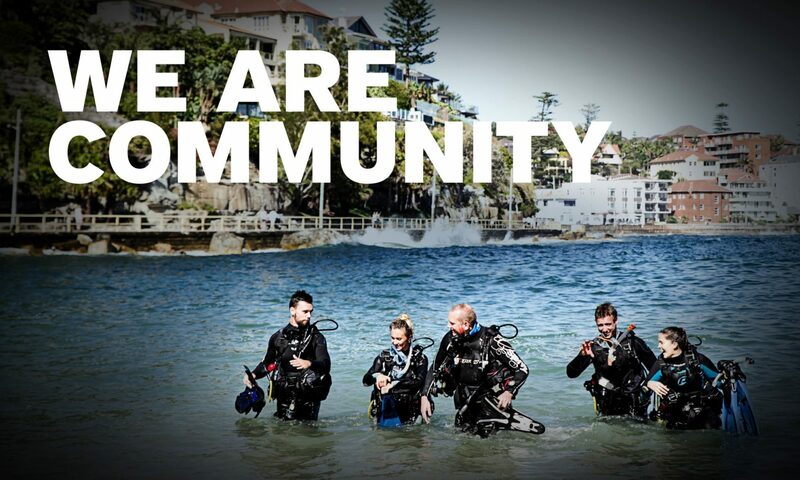 We encourage you to support the campaign and share the information provided with your diving friends so that we are all working together to prevent unnecessary injury and loss of life. DAN AP has launched an “Oxygen Preparedness and Awareness” campaign to help instructors and operators in the Asia-Pacific region become better prepared for diving incidents. As part of this campaign, DAN AP is offering PADI Dive Professionals a 15% Discount* off Oxygen Unit purchases made by April 30. Let’s look at what oxygen preparedness means and what you need to do to become better prepared. The importance of DAN AP’s “Oxygen Preparedness and Awareness” campaign is strengthened by evidence that highlights the effectiveness of prompt high-concentration oxygen first aid in helping sick or injured divers. Having an adequate supply to get a diver to an appropriate treatment facility. Whilst more operators than ever have O2 equipment and know how to use it, too often they don’t have enough oxygen, which is a problem. As divers become more safety focused they will begin asking more questions of operators before booking a trip and therefore oxygen preparedness also makes good business sense. The following steps will help you in determining the oxygen requirements for your business. Step 1: How Many Oxygen Units Does Your Business Require? It is also important to have backup oxygen available in case, for example, a unit needs to travel with a diver to a treatment facility, whilst others continue to dive. Dive operators should always plan to ensure that enough oxygen will be available for the expected transport time between the dive site and a suitable medical facility. This may mean many hours or even days in very remote locations. It is important not to stop oxygen breathing too soon. Even if initial symptoms have disappeared with oxygen first aid, they can re-appear later and can worsen substantially. It is commonly believed that because a cylinder contains almost 100% oxygen this equates to a person receiving 100% oxygen when they breathe from the equipment. Unfortunately, this is often far from the truth. The inspired oxygen concentration depends on how much air is taken in (entrained) to dilute what is inhaled. As you can see below, different equipment provides different concentrations of oxygen so it is vital the right equipment is used. A non-rebreather mask, with a flow rate of at least 10-15 litres per minute (lpm). It should also be capable of supplying at least 50% oxygen to a non-breathing diver (e.g. resuscitation mask with oxygen). All dive operators should have suitable oxygen equipment available at each dive site that is functioning properly and ready to use. Even a delay of 15-20 minutes to oxygen administration can be critical in a severe case of DCI. Make sure you have trained staff competent to provide oxygen (as well as first aid and CPR) at each dive site so an injured diver can be quickly assisted. For maximum benefit, oxygen first aid should be provided as soon as possible after a diving injury and it should not stop unless advised by a dive medical specialist. In the case of DCI, prompt oxygen first aid can help to more quickly reduce the size and of bubbles and so help to minimise the damage they cause. The distance (km/time) of each dive site to land. Don’t miss out on your opportunity to receive 15% Off DAN AP Oxygen Units*. *Offer is valid until April 30. Freight is additional once the 15% discount has been applied to the product purchase. To redeem the offer please mention “DAN-PADI-O2-Prepared” in your email. DAN AP has created an “Oxygen First Aid for Divers” poster that Dive Professionals can obtain from DAN AP at no cost. Send us an email with your business name and mailing address to info@danap.org to obtain a copy.